Becoming a mum changed not only my life, but also my beauty routine.I spend less time on make up, I am careful with my skincare habits, I apply hand cream… Oh! yeah! I was never a fun of hand creams. Not that I don’t like them, but I forget them. And I rarely have had dry hands. Since my baby’s birth, I wash my hands every 15 minutes: before and after feeding him,before-after-and-while changing his diaper etc. My hands were screaming for help! Too much water, soaps and detergents for them. And here’s the point that hand creams became part of my life. 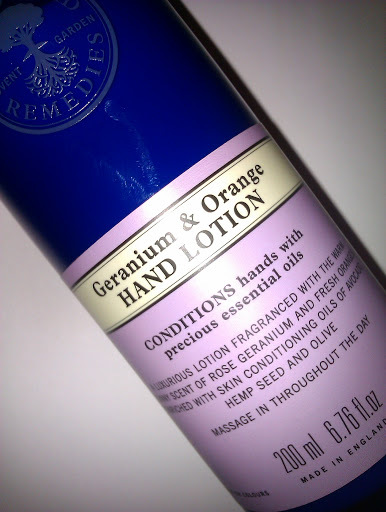 I am using Neal’s Yard Remedies Geranium and Orange Hand Lotion for about a month and it took me a while to make my mind about it. Love it or hate it? It was hard to decide. 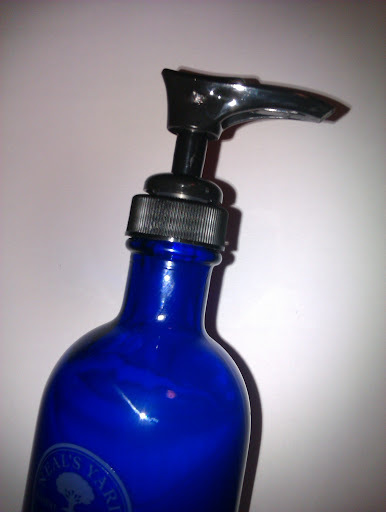 Let me start from the packaging; a 200 ml bottle made of glass in navy blue, with a pump that makes it easier to get as much product as needed. Simple, but luxurious at the same time. Love at first sight! Then I’ve started thinking at the negatives: the bottle is heavy and big, so I won’t be able to bring it in my bag when going out. I also found it difficult to open it for the very first time. In fact, I was trying for two days and I couldn’t open it; my husband did. Time to ”examinate” the product its self. 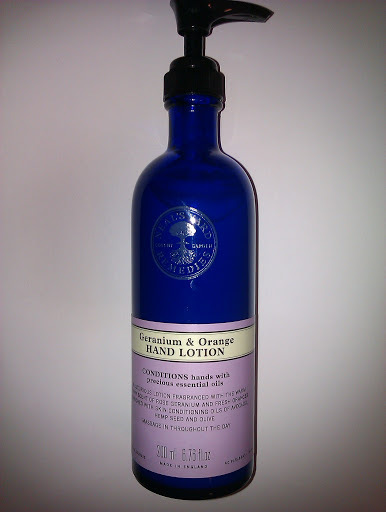 Geranium and Orange Hand Cream is a light moisturiser to keep skin and nails protected and enriched*. 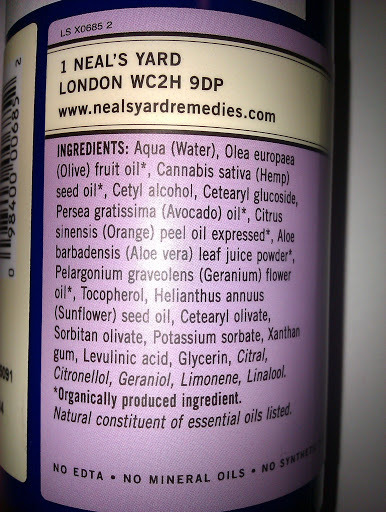 It has a strong scent, as most of Neal’s Yard Remedies products, because of the essential oils. If you can’t stand strong scents, don’t buy this product and save your money. In case you love oranges as much as I do, you have to purchase this hand cream. Once applied, I can smell fresh oranges, geranium and roses. Just like walking on grandma’s garden! Its scent reminds me of fall and winter and gives me a boost of energy. The lotion is enriched with avocado, olive and hemp seed, ingredients that do miracles on skin conditioning. It is lightweight and gets easily absorbed without being greasy or sticky.I thought that this is a great hand lotion for who hasn’t any particular problem. Fortunately, I was proved wrong. During the last days, because of the cold and continue wash of hands, my skin became dry. I had to use this hand lotion not only after washing hands, but nearly every hour. And it worked. My hands are noticeable moisturized, supple and smooth. In conclusion, it is a good hand cream, but didn’t make me go mad about it. It works well, but there’s something that make me skeptical about it. I can’t define what. Would I purchase it again? Not sure yet…maybe. Do I recommend it? 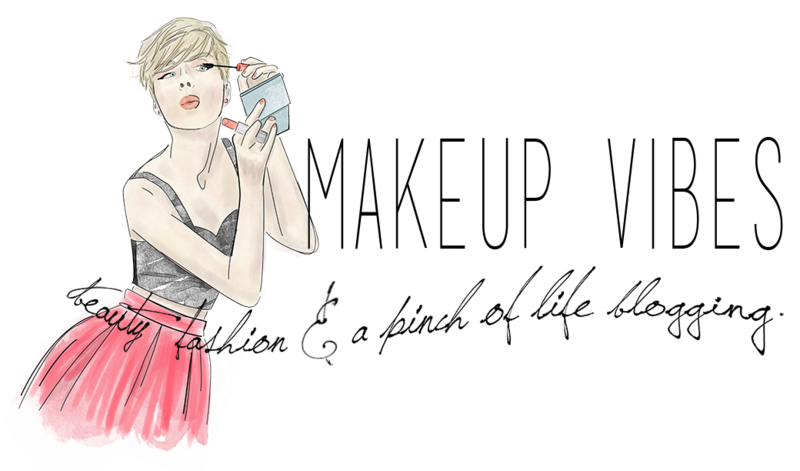 Only if you are a fan of strong scents. Otherwise, save those €18.80 for something else. You can also buy it from feelunique.com(free worldwide shipping). Have you tried this product? What do you think about it? How much e would you spend for a hand cream? Waiting for your comments, beauties! P.S. : I like to keep it in bathroom, near the sink so that I remember to use it after washing my hands. oooh my….! such a great review!!!! I just feel exactly the same about this hand cream…You read my mind! Keep up the good work beauty!